Drayton Croft is gearing up for a monster 2012 with hot new models from MV Agusta and Kawasaki. There is a huge buzz around the long-awaited MV F3 and B3 Brutale. At time of press Drayton Croft have firm orders on these beautiful masterpieces. Kawasaki has launched the bike we have all been asking for in the Versys 1000 and the astonishing ZZR1400 that now lays claim to being the fastest accelerating production motorcycle in the world. You can also check out the fantastic updated ER-6n. A Drayton Croft spokesman said: “It’s all go at the stores at the moment with the revamp of our websites – due to launch in the New Year. Don’t forget the annual December half price clothing sale is still up and running – don’t miss out with names such as AGV, HJC, KBC, Arlen Ness, Berik, Wolf and Alpinestars … the list goes on. Drayton Croft have over 30 years in the motorcycle trade, they pride themselves on delivering thebest service possible from their Hinckley HQ. 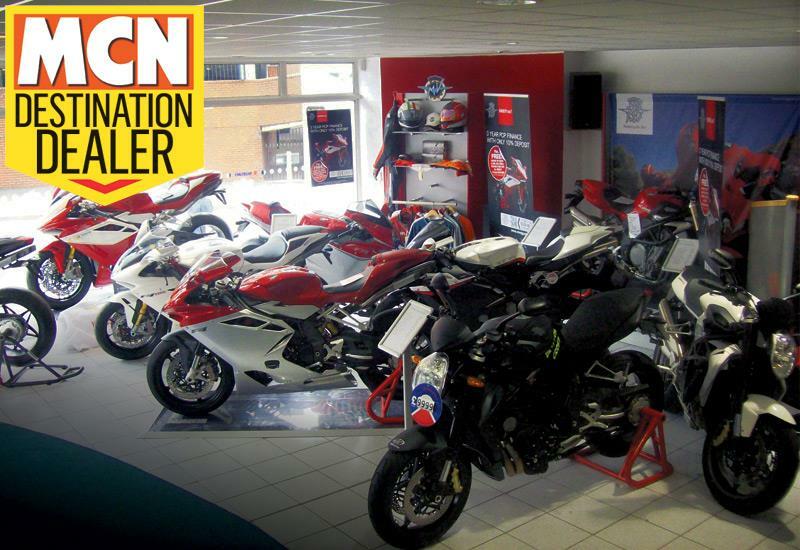 They have a friendly and relaxed atmosphere, go and see the 200-plus new and used motorcycles. Call 01455 250200 or visit them at www.draytoncroft.com to enquire about deals or to book a test ride.